BRYAN EATON/Staff photo. 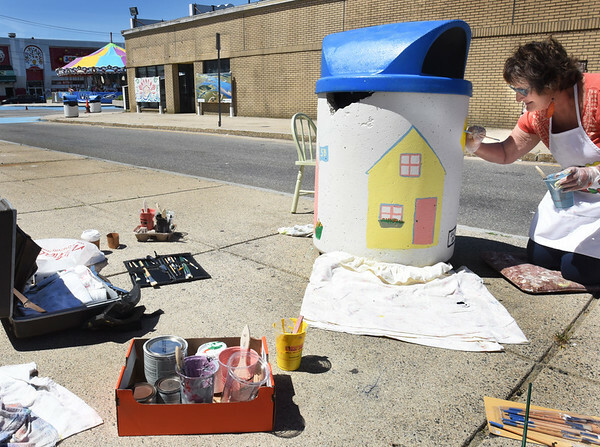 Salisbury resident Diane Masiello decorates one of 65 trash barrels at Salisbury Beach with beach cottages on Wednesday. The improvements are one of many in the beach center as the town readies for Celebrate Salisbury with the opening of the new boardwalk.